In a guest blog for Ecology, Paul Smith, Certified Passivhaus Consultant at the Green Building Store discusses the challenge of renovating and retrofitting our existing housing stock and outlines how the Passivhaus EnerPHit Retrofit Plan can offer a step-by-step approach to tackling the problem. Ecology provides mortgages for renovations and retrofits. Retrofitting our existing housing stock can be fraught with uncertainties and constraints. So many factors need to be considered, different types of construction, form, utilisation, occupants, ownership, finance, planning and conservation to name but a few. However, the good news is that the Passivhaus Institute (PHI) seems to be a fair way down the road in offering a viable solution. The PHI has been working on methods for resolving the issues of reducing overall energy demand of buildings for a number of years, developing the Passivhaus standard in the early 1990s and in 2010 introducing EnerPHit as a quality approved standard for the retrofitting of existing building stock. The key elements to the PHI’s approach are: high levels of insulation, airtight fabric, high performance windows and doors, reduced thermal bridges and mechanical ventilation heat recovery (MVHR). Why the fabric first approach? Using the Passivhaus methodology and the fabric first approach, the heat demand of a dwelling can be dramatically reduced whilst also improving the thermal comfort for the occupants, resulting in less dependency on providing heat to help maintain and control internal conditions, leading to substantially reduced CO2 emissions. Where does the EnerPHit Retrofit Plan fit in all this? It is a given that in time building components will need to be replaced, not all at the same time but as they reach the end of their lifespans, so an approach is needed that ensures we don’t just replace these old building components, but whilst the opportunity is present, we improve their efficiency and in turn prevent the “lock-in” effect. The term “lock-in” is used to refer to the rising issue of moderate levels of performance improvements on retrofit projects. Once these have taken place it would be unsustainable, uneconomical and impractical to change, leading to these buildings performing to a substandard level for the next 30 or 40 years. We need to be future-proofing efficiency levels. The EnerPHit Retrofit Plan (ERP) gives a feasible opportunity for many to act on this, a step by step approach applying Passivhaus methodology, whilst utilising the EnerPHit standard. Its aim is to implement individual retrofit measures over an agreed period of time. For this approach to be successful a full overview of the project from start to completion must be undertaken, this not only ensures high levels of energy efficiency are achieved but also keeps costs to a minimum. Certification begins ideally before any retrofit measures have been carried out, from this point on all retrofit measures are planned using the ERP. Carrying out this process assists in defining the level of efficiency required for all the steps during the retrofit. Each stage of the retrofit must be carried out in a manner that prevents any measures which may prove harmful to the occupants or the structure i.e. improving the airtightness of the fabric cannot be carried out without the installation of an MVHR system or insulating the building. The Passivhaus planning package (PHPP) is used to model the plan ensuring quality control throughout each stage of retrofit. Opinions may vary on how best to tackle the problem that is our existing building stock and there is no one answer. Retrofitting to the EnerPHit standard still presents its challenges while it could be considered by many as a step too far. However, the proverbial clock is ticking and the PHI have three viable options on offer covering all bases for the construction of new build, retrofitting and now a step by step approach in the EnerPHit retrofit plan. These are hard times financially and yet we must achieve our CO2 reduction target in as short a time period as possible. For those that can afford, it’s full steam ahead, for those of us who can’t, one step at a time just might be the answer. Paul Smith is a Certified Passivhaus Consultant at Green Building Store, working within Green Building Store’s Consultancy service. 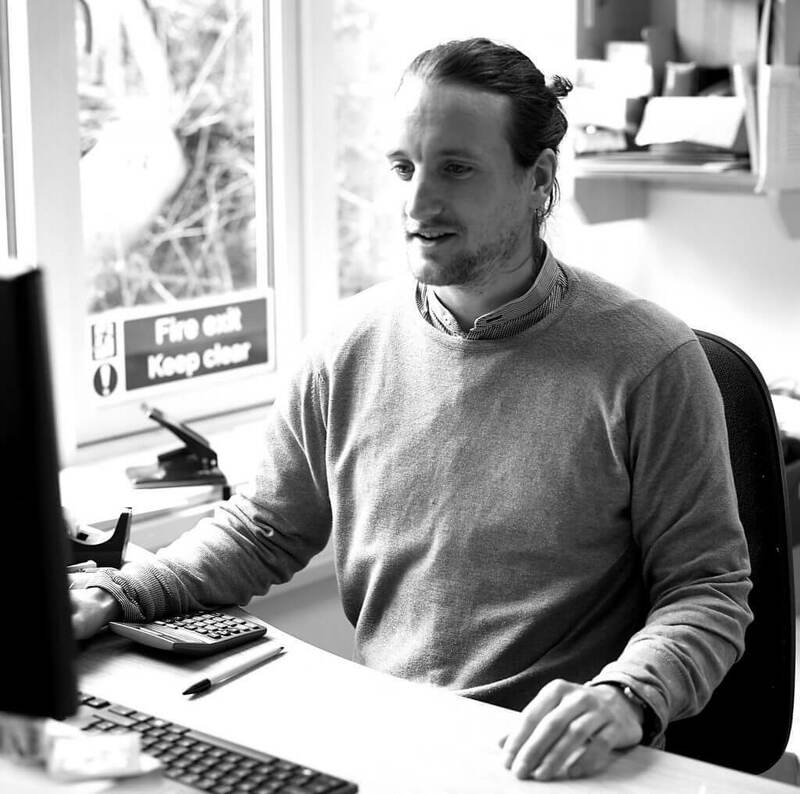 Paul is currently studying for an MSc in Sustainability and Adaptation in the Built Environment at the Centre for Alternative Technology. This blog was published first on the Green Building Store website in January 2017.